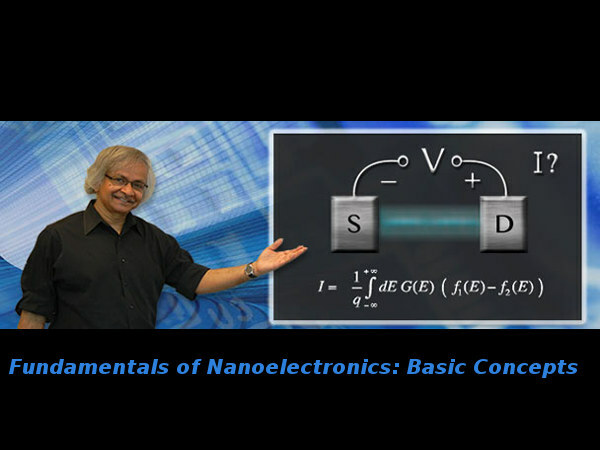 Fundamentals of Nanoelectronics: Basic Concepts is a free online course conducted by the Purdue University. This course presents key concepts in nanoelectronics and mesoscopic physics and relates them to the traditional view of electron flow in solids. The modern smartphone is enabled by a billion-plus nanotransistors, each having an active region that is barely a few hundred atoms long. Interestingly the same amazing technology has also led to a deeper understanding of the nature of current flow on an atomic scale and the aim is to make these lessons from nanoelectronics accessible to anyone in any branch of science or engineering. In the first half of this course (4 weeks) they shall introduce a new perspective connecting the quantized conductance of short ballistic conductors to the familiar Ohm's law of long diffusive conductors, along with a brief description of the modern nanotransistor. In the second half (4 weeks) they shall address fundamental conceptual issues related to the meaning of resistance on an atomic scale, the interconversion of electricity and heat, the second law of thermodynamics and the fuel value of information. This course is intended to be broadly accessible to students in any branch of science or engineering. Students should have a basic familiarity with calculus and elementary differential equations. No prior acquaintance with quantum mechanics is assumed.